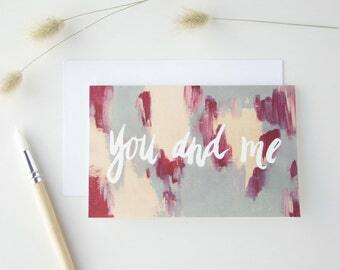 Announcement Soak Studio is home to a wide collection of art prints, personalised prints, painted serving boards and little things like greeting cards, and timber card stands. Each piece is designed, painted and illustrated by me. Need a Custom Design? Contact me with details and I'll work with you to create the perfect design. Visit me on instagram.com/soakstudio for daily snippets and behind the scenes fun. Soak Studio is home to a wide collection of art prints, personalised prints, painted serving boards and little things like greeting cards, and timber card stands. Each piece is designed, painted and illustrated by me. The cutest addition to my twins nursery that’s cloud themed!! Sanding, sanding, sanding- getting rid of all that awful yellow stain to reveal delicious blonde pine. There's nothing like uncovering the beauty underneath worn timbers. There is sawdust in my blood. My history is steeped in woodwork crafts, me being the 3rd generation. Long before the advent of power tools, both my grandfathers were carpenters, so my Dad would go out with his father to help him build, learning his skills along the way. And although Dad studied civil engineering, and was a computer programmer, he was always crafting on the side - teaching me how to use a hand plane and chisels, extending one house and completely building my parents current house from scratch! I was the kid hammering floorboards, and carving blocks of wood. So it was only natural that I studied wood work all through high school. I spent most of my spare time in the art room, music room, or the wood shop, and I would come home with sawdust in my hair and wood chips in my shoes. I still love to look through my Dad's collection of inherited tools, especially things my grandfathers made, like handmade wooden planes & mallets. I often tell my Dad "don’t forget, that's mine one day!" Visiting a well-stocked timber yard makes my heart beat fast, choosing rough sawn timbers ready to discover it's inner beauty, rescuing old timbers that need a lot of love, are all part of the joy. And I think it's pretty special to work with my Dad, and add his master craftsman touch. My unique boards and prints typify what our generation is all about - rediscovering time honored crafts, beautiful products that are slow made and full of meaning and inspiration. We want to give gifts that are lasting, meaningful, unique, and have the smallest footprint possible. We don't want to support nameless, faceless, careless businesses any longer. We want to connect, be a part of the process, and support local and not so local artisans directly. Each piece becomes imbued with heart, and carries the story with it for life, becoming a treasured heirloom that passes it's history of love along with it. Working with a customer on a personalised board or print design is one of my favourite things to do. It's adding someone else's story into my design, their wedding or anniversary date, a birthday, names, initials, memories - I'm invited in to their most profound moments and celebrations, and knowing that the piece will stir special memories every time it is used or seen is pretty amazing. Being a multi-faceted designer means that I'm exploring other mediums too, which you'll see in my shop. 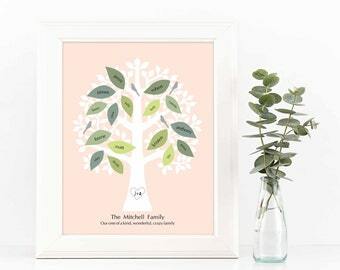 Personalised prints, illustrations and sweet quotes, macro photography and nursery sketches round out my offerings, so I know you'll find things that will be beautiful gifts for all the special occasions and celebrations in your life. I look forward to creating something special for you, and the loved ones in your life. A freelance designer and maker, I love working in multi-faceted creative areas. Personalised prints, toy sketches, custom chopping and serving boards and photography are some of the beautiful gifts you'll find here at Soak Studio. My wonderful Dad has been teaching me wood crafting skills since I was a little girl. He is the man behind the tools that makes my chopping board plans come to life, ready for me to paint and engrave with your personalised designs. All my photos are currently printed at a professional photo printer to ensure the best quality photo is produced, and to ensure that it is archival rated to last, and not fade. Once I've designed my bamboo cutting and serving boards, I have them cut to my specifications with a local business. Thankfully, they have the machines that I dream about owning one day! When you need a print in a rush, and can't wait for shipping from Australia, I use an archival printer, usually in your country, to print and ship straight to you. Read through Soak Studio's policies to find the answers to many FAQ's - if you can't find an answer to your question, contact me for a personal response. I will gladly refund or exchange if you are not happy with your purchase. Contact me within 5 days of receiving your order to arrange. --> I must receive goods within 30 days of your purchase. --> Return shipping is at your expense. Because of the nature of these items, unless they arrive damaged or defective, I can't accept returns or exchanges. In the unlikely event that something arrives damaged, let me know asap, with a photo of the damage. I will either refund the price of the item, or send a replacement, depending on the problem. I promise to do so quickly! If you're purchasing a serving or chopping board, please check that wood from Australia is allowed into your country. ✖️ PROCESSING TIMES are noted in each listing. This is the time it takes me to make & prepare your item for shipping. ✖️ SHIPPING TIMES are estimates based on Postal guidelines and my experience. Times are noted in each listing. ✖️ HOW IS MY ORDER PACKED? --> Cards, A5 & A4 prints are shipped flat in a rigid mailer. --> Larger prints are rolled & shipped in a rigid tube. --> Chopping and serving boards are bubble wrapped & mailed in a tough bag or box. ---> For extra protection, each item is given directly over a Post Office counter - I never put items into road side mail boxes! ✖️ WHAT IF I'M IN A RUSH? If you can't wait for shipping, purchase a digital version of your personalised print - I email the file directly to you, so you can print it out yourself, or locate a fine art printer locally to you. See a design you love & want it personalised? Contact me with your requirements - special sizes, colour requests, or specific designs. I'll give you a price & post a custom listing for you to view the artwork & confirm all details. Copyrights & reproduction rights are not transferable. All sales are for the item only. If you are buying a downloadable design, the copyright stays with me, the designer. You are purchasing the rights to print & use the design as specified in your listing. If you need a commercial license, or are not sure if your planned use is covered, contact me to confirm.